StarWars.com takes a closer look at the two would-be Jedi and their parallel quests to master the Force and defend the galaxy from evil. 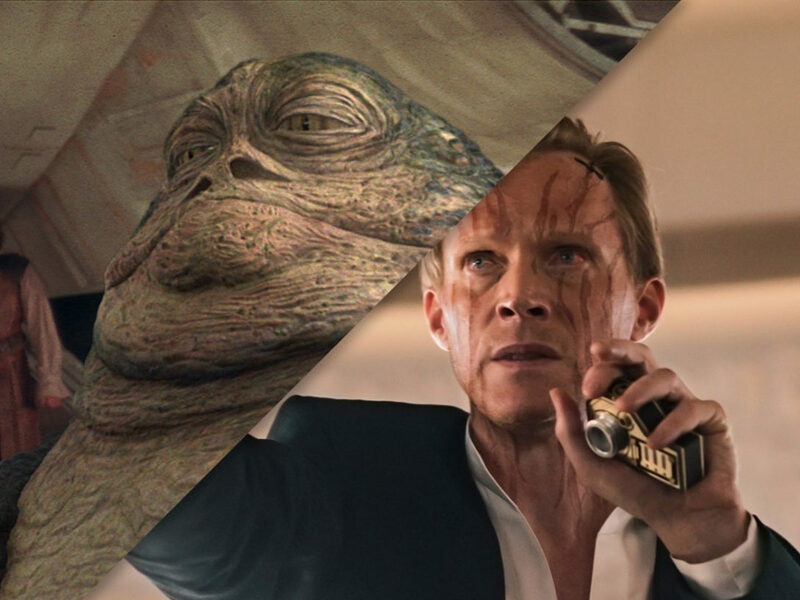 Star Wars Echoes examines the lives of two characters — seemingly very different on the surface — and how they’re often more similar than we might think. Throughout the mythology of Star Wars, synchronicity can be seen again and again, binding heroes, villains, creatures, and legend to one another despite their paths never crossing. For example, a lonely scavenger on a desert world and a street smart kid who fell in with a band of rebels. Both long for parents lost years before, each seeking escape from a solitary existence on a world that’s known the Empire’s presence. 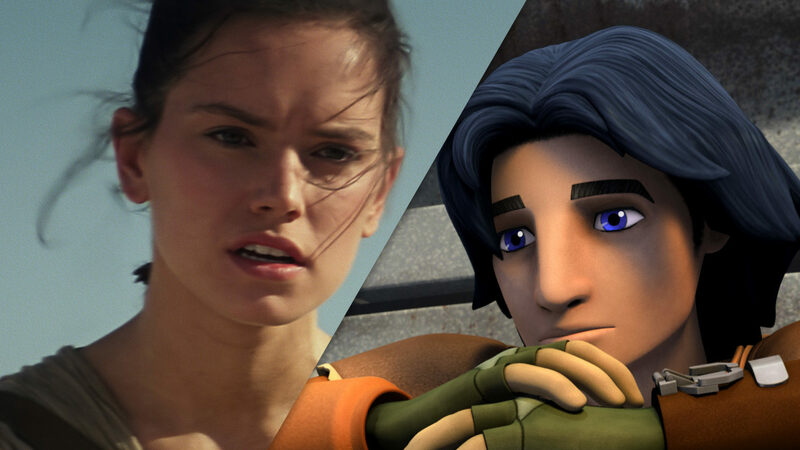 Would-be Jedi, lone wolves pining to be part of a pack — the stories of Rey and Ezra Bridger offer familiar patterns that can be seen reflected in one another, as each attempts to master the Force and defend the galaxy from evil. Both were forced to live alone from a very young age. 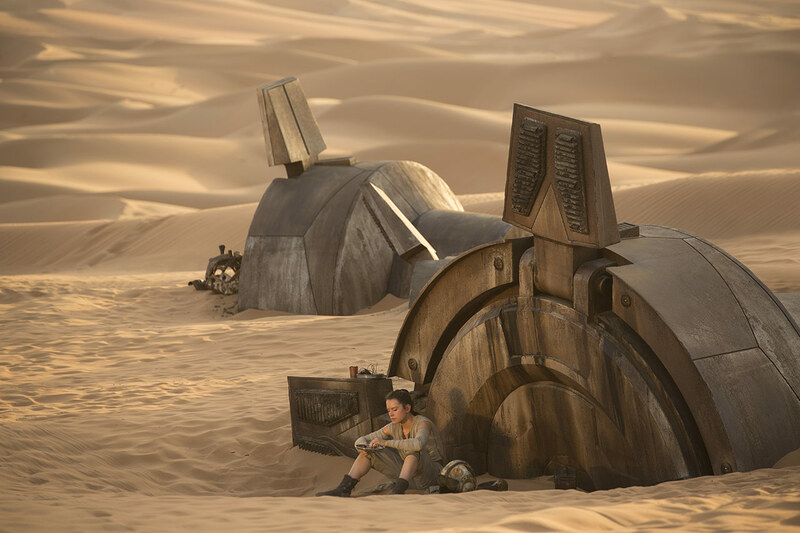 Abandoned on the desert planet Jakku by her parents, Rey learned to fend for herself in a world where your next meal is only as good as your latest find. The unforgiving climate hardened the young woman, forcing her to to acquire the skills she needed to survive. 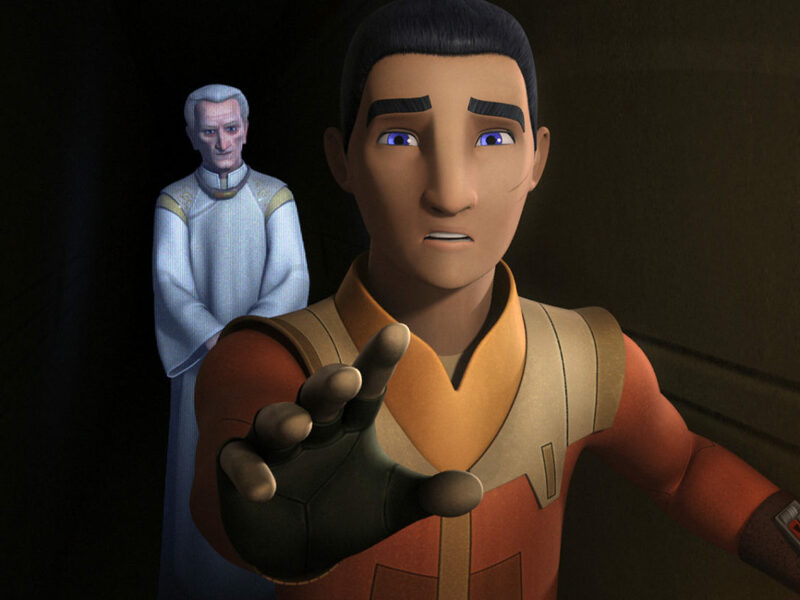 Years earlier, on Lothal, a young Ezra Bridger found himself in the same predicament after his outspoken parents were forcibly taken by the Empire. Ezra learned what it took to endure on a planet under Imperial rule. While Rey and Ezra each proved to be capable survivors, they were still missing something in their solitary lives. They fell in with an unlikely crew and found a new kind of family. 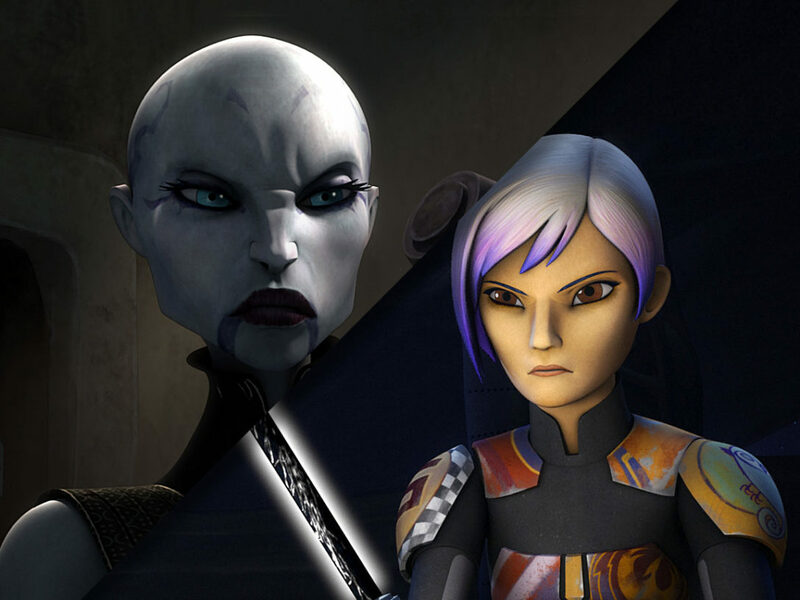 A confident Twi’lek pilot, an incognito Jedi, an artistic Mandalorian and a gruff Lasat. A fugitive stormtrooper, a legendary smuggler, and a Wookiee we wouldn’t dare upset. Both teams, decades apart, were completed by trusty astromech droids. And both eventually claimed a deserted, lonely would-be hero with limited Force capabilities from a distant planet. 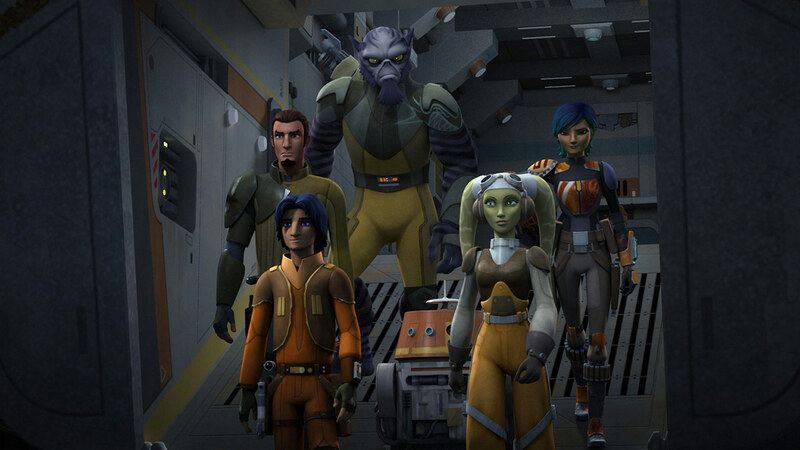 Despite the differences surrounding their respective situations — one team fighting against the iron fist of the Empire, the other doing its best to circumvent conflict with its successor — both the crew of the Ghost and the ragtag band of heroes flying to Takadona aboard a rediscovered Millennium Falcon ended up having two things in common: first, they welcomed in the newcomer with open arms. 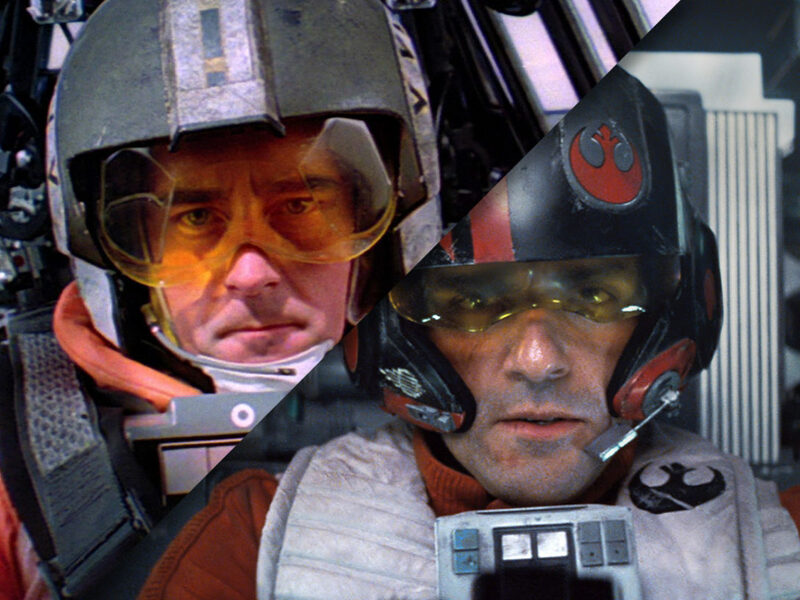 And second, they all ended up proving themselves heroes second…and rebels first. Each were tempted by the darkness in the form of a person they thought they could trust. 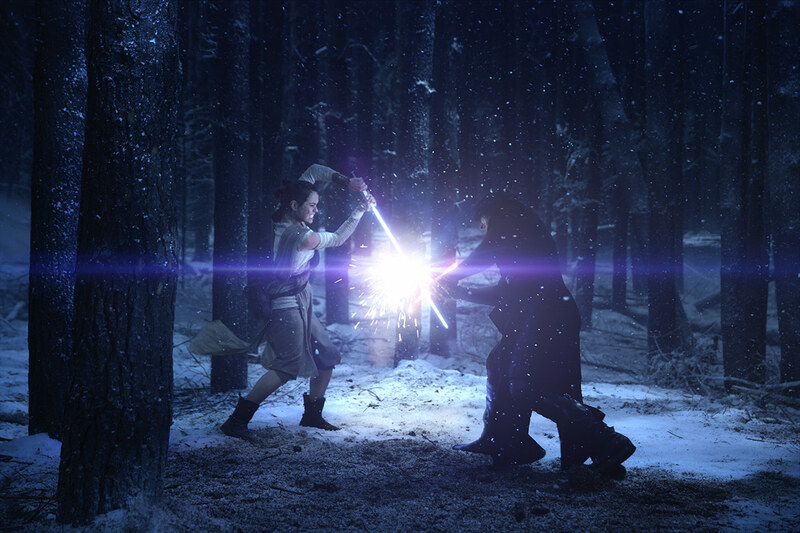 Having witnessed Kylo Ren cut down her best friend in the forest upon Starkiller Base, Rey was full of distrust when he appeared to her on the island of Ahch-To. But during a succession of mysterious, emotionally-charged connections through the Force, and after peeling away what she felt were layers of truth surrounding Kylo’s falling out with Luke Skywalker…something about the former Knight of Ren called to the novice Force-user. And so, she went to him on the Supremacy, hoping — as Luke once did with Kylo’s grandfather, Darth Vader — to redeem Ben Solo and bring him back into the light. 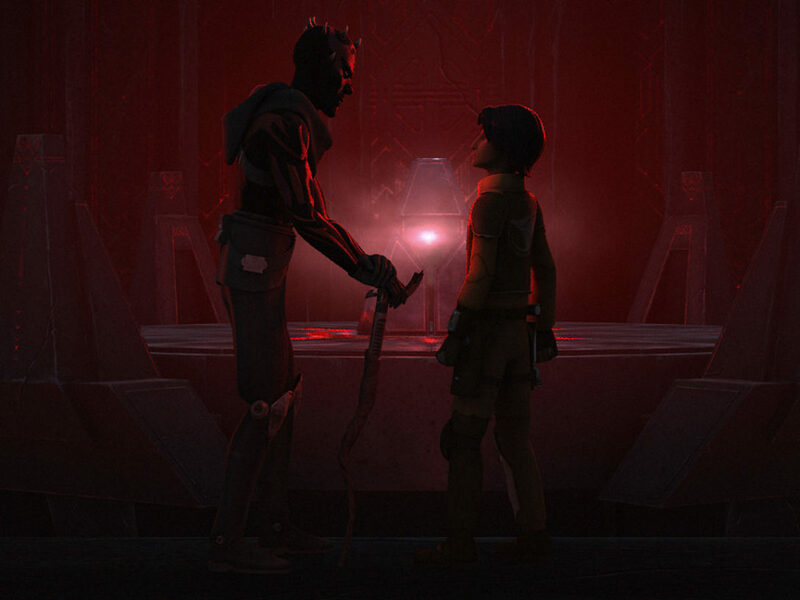 Ezra’s first encounter with Maul on Malachor seemed less dangerous than the young rebel at first believed — and, as Rey felt a bond with Kylo, Ezra related to Maul’s tale of loss at the hands of the Sith. 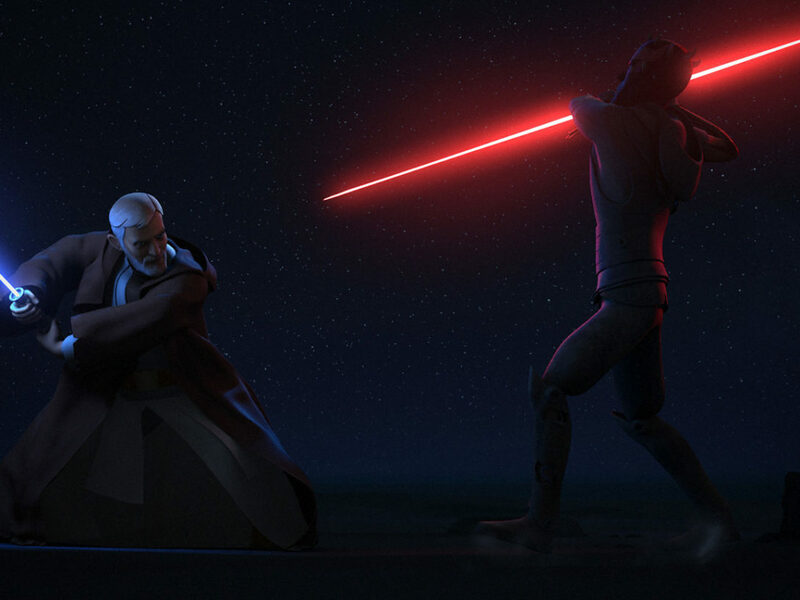 Even after he learned the truth about his supposed “mentor,” Ezra still felt the road toward his own understanding of the Force led through Maul. 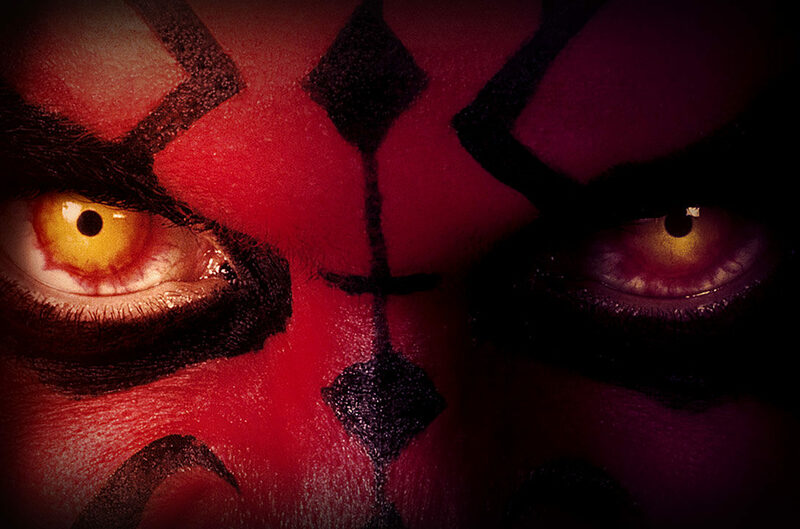 Like Rey, however, Ezra soon learned that Maul had ulterior motives of his own. Kylo’s emotional connection with Rey revealed that he only wanted the girl from Jakku to serve as his partner in a bid to rule the galaxy. 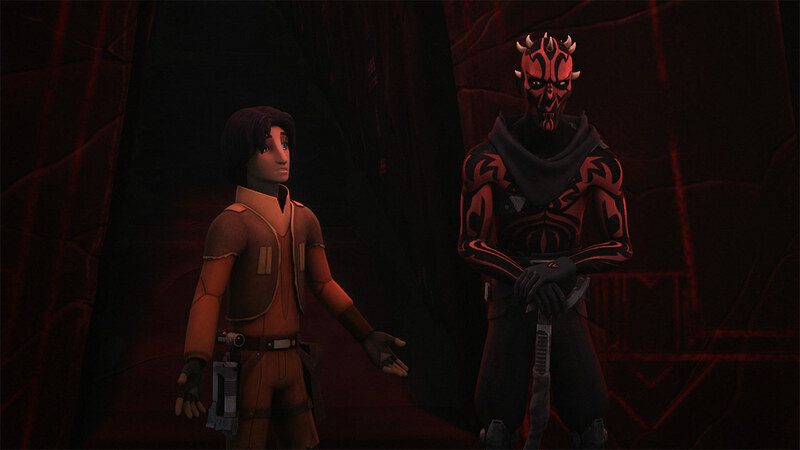 Maul, though showing fondness for his new “apprentice,” was ultimately using Ezra to open the Sith Holocron to discover the location of his long-lost enemy, Obi-Wan Kenobi. Worldly pirates taught each of them a lesson…despite less-than stellar outcomes. “I have lived long enough to see the same eyes in different people.” No statement by a character in Star Wars has ever rung more truthfully. Maz Kanata — pirate, adventurer, proprietor — utters these words to Finn in her castle on Takodana. But an even more valuable lesson was imparted to Rey — the importance of discovering one’s place in the Force — along with a certain once-lost lightsaber. 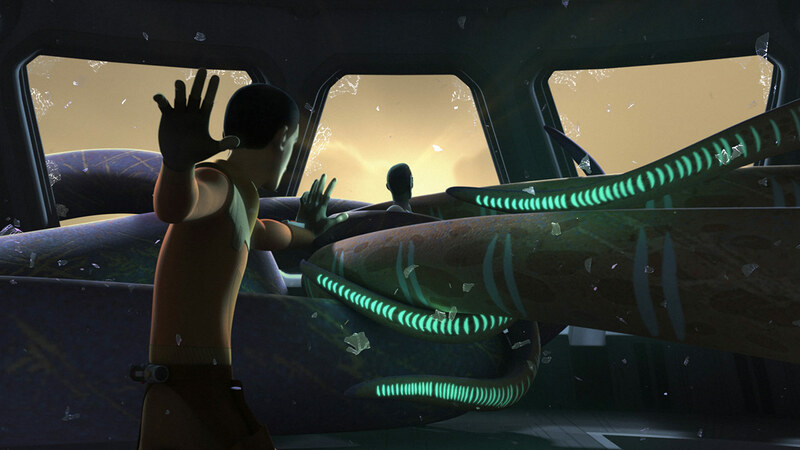 Meanwhile, the Weequay pirate Hondo Ohnaka had already provided a lesson of his own to Ezra…several, in fact. Every encounter between the two left Ezra not only a bit credit-poor and in hot water, but also with the realization that if Ezra hadn’t found the Ghost, Hondo’s life might very well have been his own — smuggling, scrounging, a harsh example of the man he would become without his friends and the Force. Their first lightsabers were blue! Rey’s lightsaber, of course, was first Luke’s, lost during his battle with Darth Vader on Cloud City and mysteriously rediscovered in Maz Kanata’s castle — and before that it belonged to Luke’s father, Anakin. Ezra constructed his own saber from spare parts, incorporating a blaster and powered by a kyber crystal from the Jedi Temple on Lothal. The loss of a mentor taught both Ezra and Rey how to fulfill their destinies alone. Though his place on the Ghost gave Ezra purpose, his Force-training under the Jedi Kanan Jarrus, one of the few survivors of the Jedi Purge, granted him maturity and responsibility. Unfortunately, when Kanan perished atop a fuel pod on Lothal, holding back an explosion so that his fellow rebels could escape, Ezra’s education was suddenly curtailed, leaving the talented Padawan to complete his training alone, while also finding his own place in the galaxy. Eventually, Ezra would gather the knowledge he needed to fulfill his own destiny and save his world, although we can’t be sure his story is complete, having lost sight of Ezra as he, Grand Admiral Thrawn and a pod of purrgil jumped headlong into the unknown. 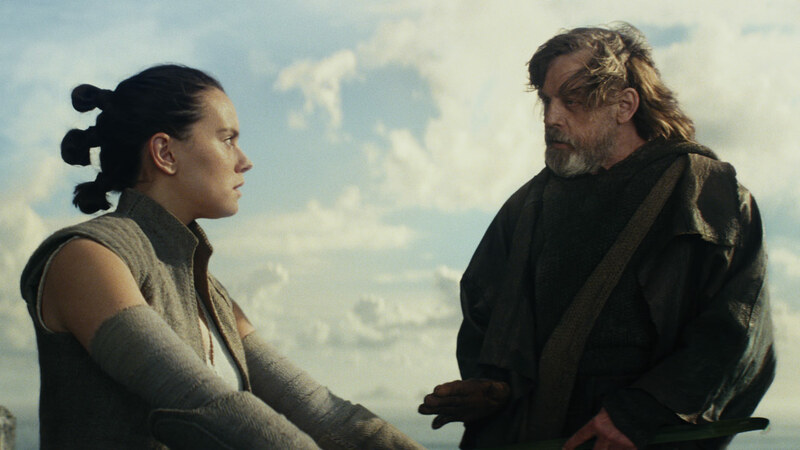 Years later, Rey would find a Jedi master, as well — the legendary Luke Skywalker hiding in exile on Ahch-To. Despite Luke’s reluctance to train her, Rey manages to get in a few hard lessons about the Force, balance and her place in it all before learning the truth about Ben Solo and storming off-planet. In the end, Luke holds off Kylo Ren and the First Order, allowing the last of the Resistance to escape, which they cannot do without Rey. Though barely her mentor, Luke’s sacrifice does strike an emotional chord with Rey. She is now the last of the Jedi and must complete her training — and confront Kylo Ren — on her own. Own Star Wars Rebels, the complete fourth season, on Blu-ray and DVD July 31. Neil Kleid is a writer and designer who truly belongs among the clouds. 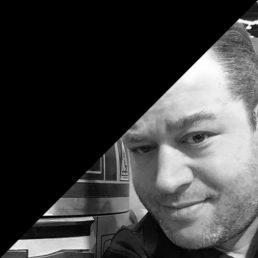 He digs Star Wars, comix, mobile design, BBQ, and baseball. Talk to him about design and Lobot on Twitter at @neilkleid. 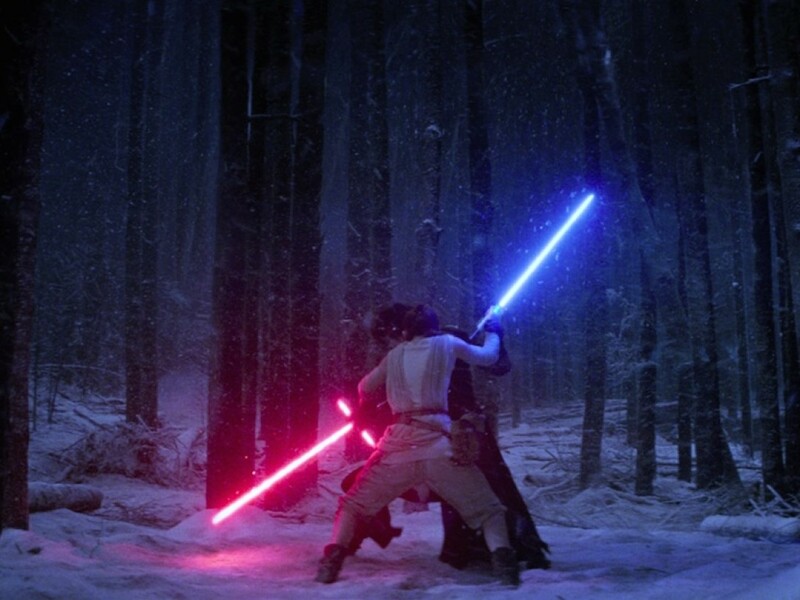 From a Certain Point of View: Who Is Stronger with the Force – Rey or Kylo Ren?